WOODLAND HILLS, Calif., Oct. 11, 2011 -- Northrop Grumman Corporation (NYSE:NOC) has begun delivering LRS-2000 Rate Sensor Assembly units to General Dynamics Land Systems for the Stabilized Commander's Weapon Station (SCWS) on the U.S. Army M1A1 Abrams tank. Under the $23 million contract, Northrop Grumman will deliver more than 2,400 LRS-2000 units to General Dynamics between now and September 2013. The production contract marks the culmination of a cooperative design, development and qualification process that began when Northrop Grumman was initially awarded the project in October 2008. 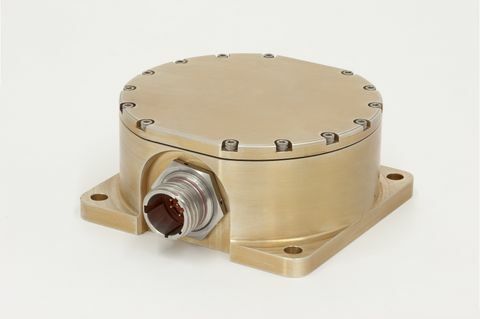 The LRS-2000 is a two-axis rate sensor that supports gun and turret stabilization applications. Based on Northrop Grumman's G-2000 dynamically tuned gyroscope, it functions as part of a larger system that provides added protection from enemy gunfire or improvised explosive devices by allowing soldiers to fire the tank's machine gun from inside the armored vehicle. "The safety of soldiers is a top priority for Northrop Grumman," said Gorik Hossepian, vice president of navigation and positioning systems for Northrop Grumman's Navigation Systems Division. "Rolling out the LRS-2000 Rate Sensor Assembly will ultimately help to save military men and women's lives while increasing their effectiveness on the battlefield." The G-2000 gyroscope is a key component of the LRS-2000 and offers superior accuracy stabilization in a small package. It is the smallest dynamically-tuned gyroscope produced and offers high performance, small size, excellent reliability and low cost. Its accuracy is enhanced by a servo-electronics card that is tailored to maximize the performance of the two-axis gyroscope. More than 40,000 G-2000 gyros have been produced for a variety of military and commercial applications since 1992. General Dynamics completed the First Article and First Piece Inspection (FPI) of the LRS-2000 in July, paving the way for Northrop Grumman to begin deliveries of the Rate Sensor Assembly units. FPI involves the inspection and testing of pre-production samples of parts to ensure that they meet quality control requirements prior to contract approval.